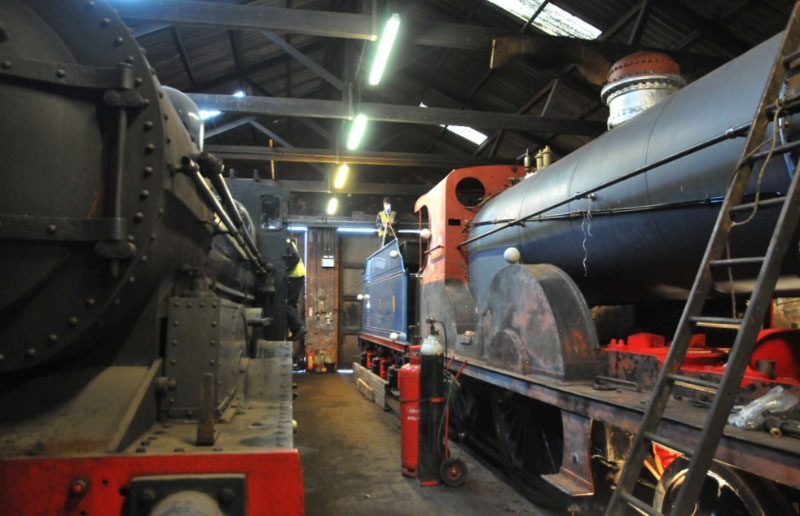 The Railway Preservation Society of Ireland (RPSI) cares for some of last remaining working examples of steam-driven locomotives. 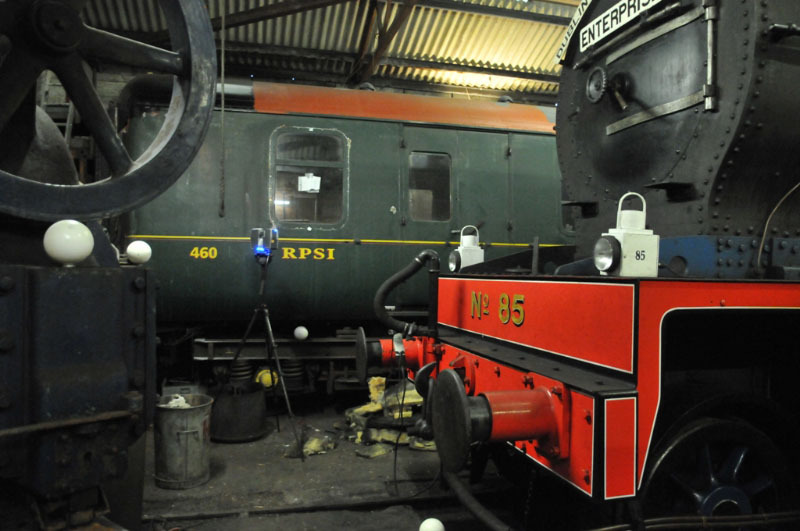 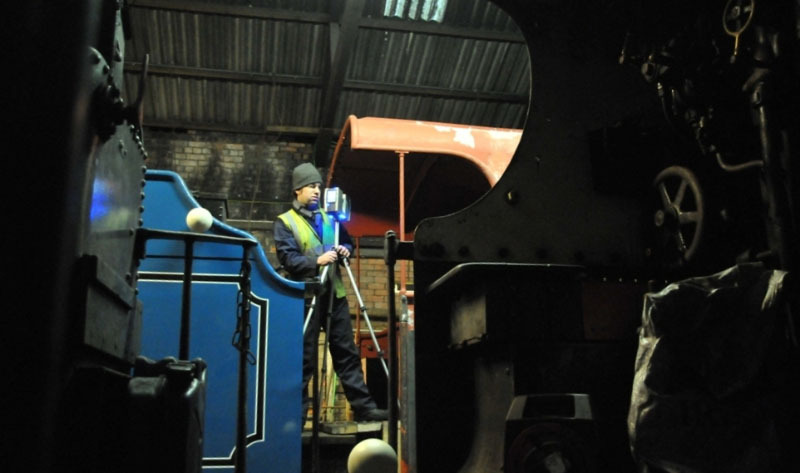 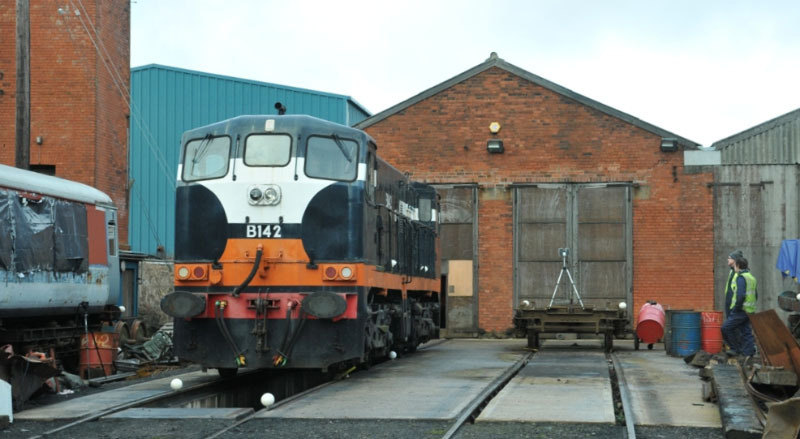 At their Whitehead engineering works the society painstakingly restores and preserves a wide range of rolling stock including passenger carriages, freight cars and engines. 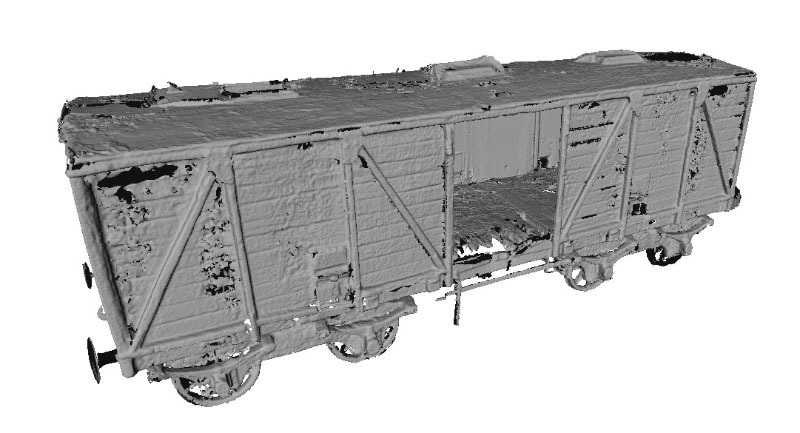 As part of the RPSI redevelopment plan CMC was invited to participate in a pilot study to digitally record a selection of the Society’s collection. 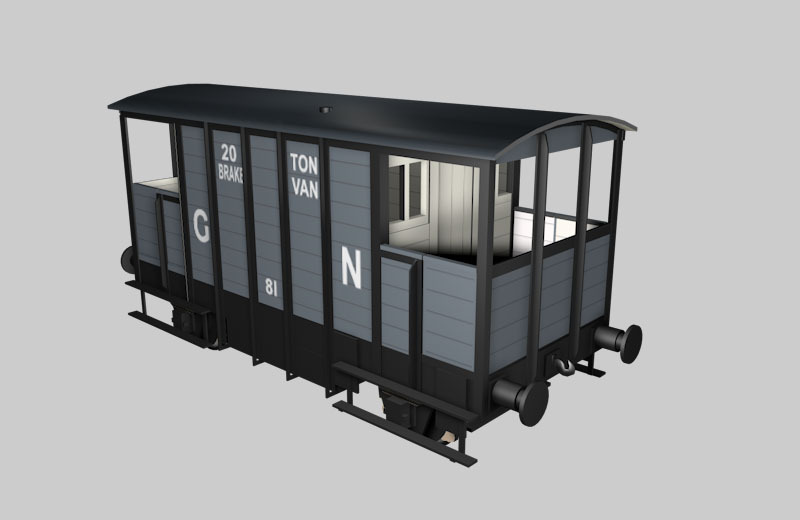 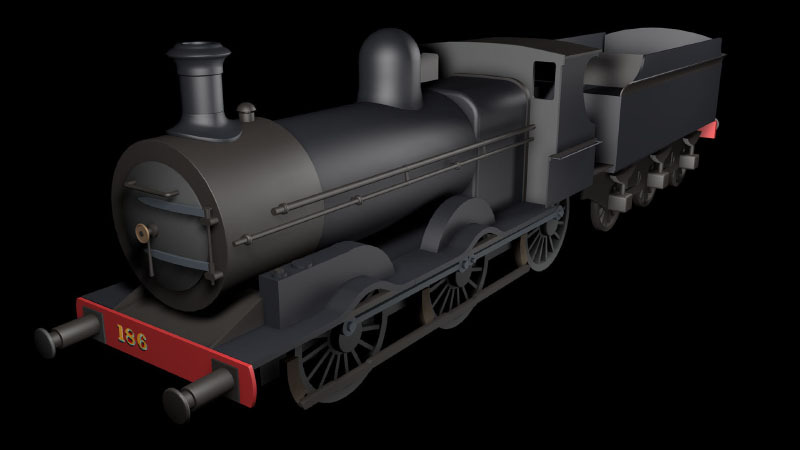 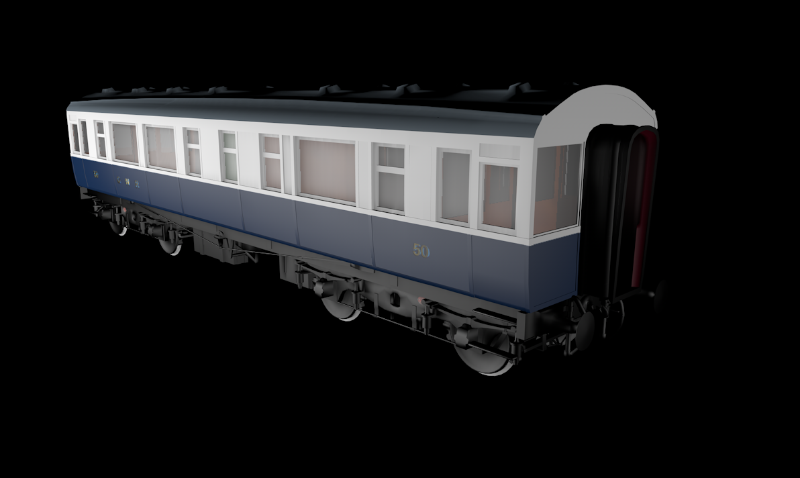 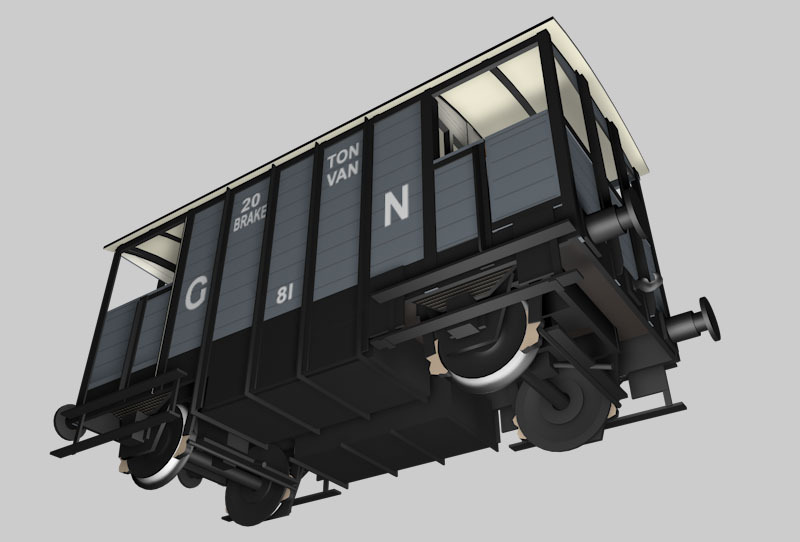 Ten subjects were selected; three steam engines, one diesel engine, four carriages, one freight car and one brake van. 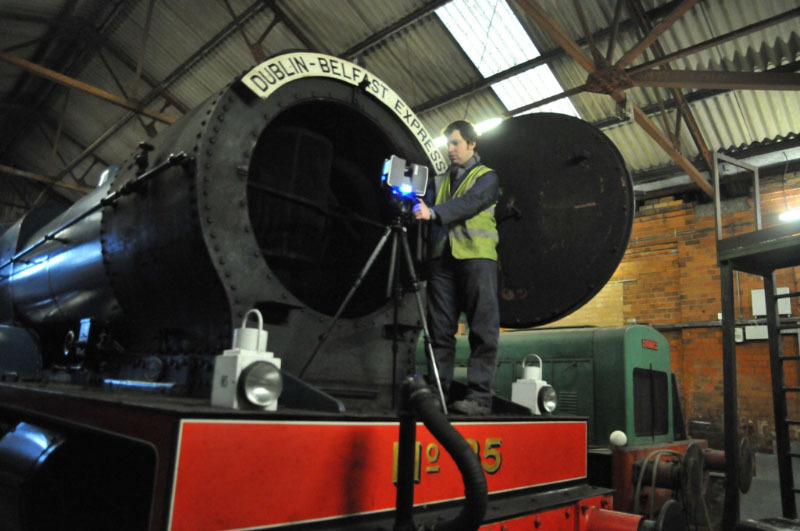 With its project partners – Dublin-based The Discovery Programme – CMC performed an intensive programme of laser scanning and photography during January and February of this year. 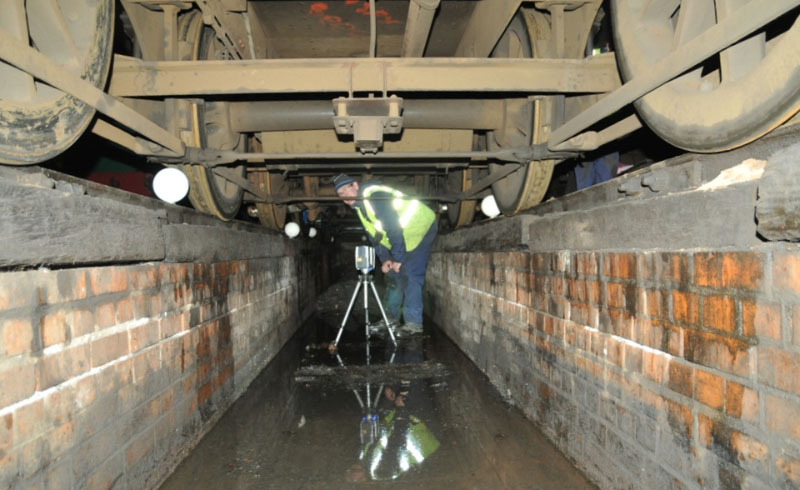 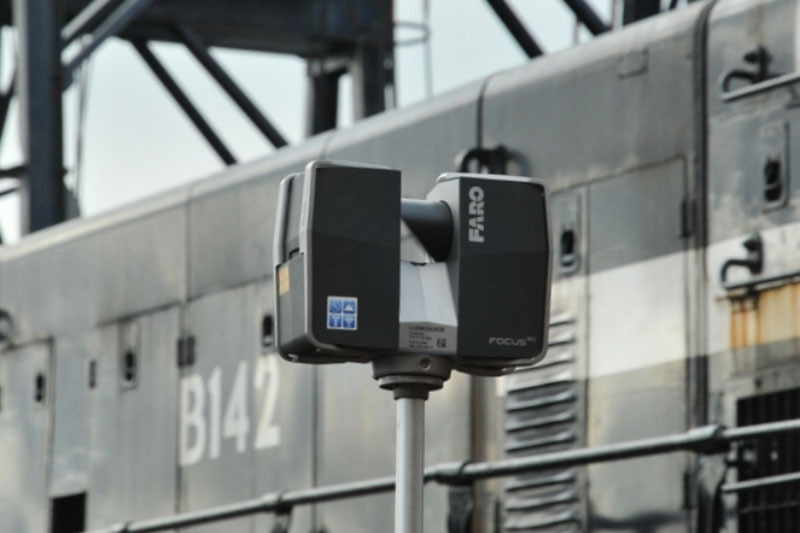 Each vehicle was meticulously scanned with a Faro laser scanner to supply accurate 3D data and then photo-documented to record colour and texture information. 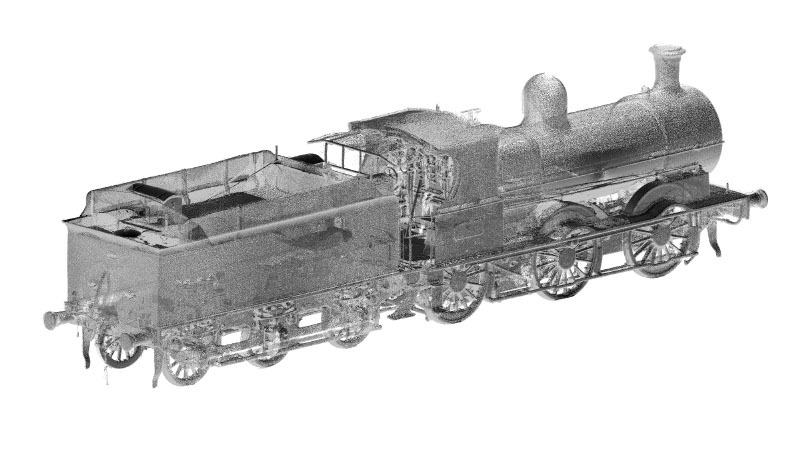 The resulting data was compiled between the Dublin and Edinburgh offices and a detailed library of 3D models, schematics and photographs was prepared and delivered to the RPSI in May 2015.